This art is burned on solid maple. A wood-burned piece custom made on a board size 15 wide x 18 high. 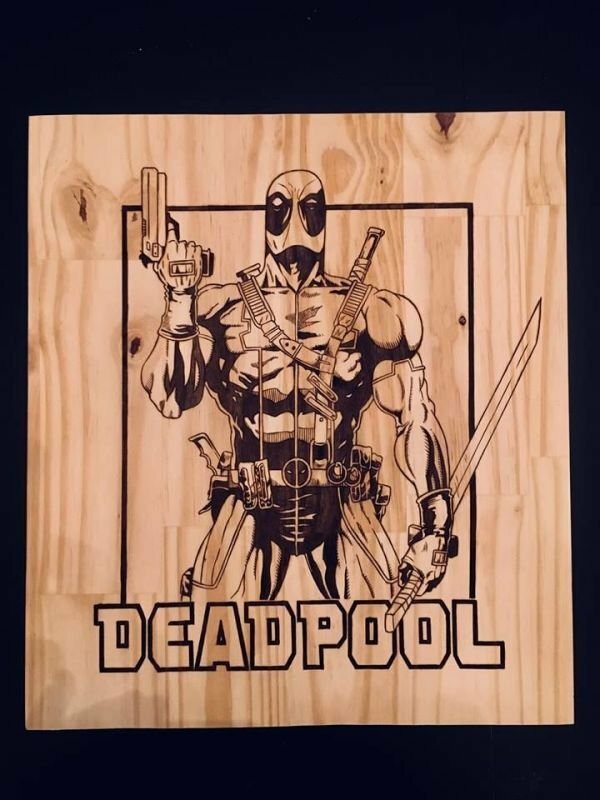 A Deadpool cover art illustrated and burned on board. Finished with varnish for protective coating and backing. Signed on back.